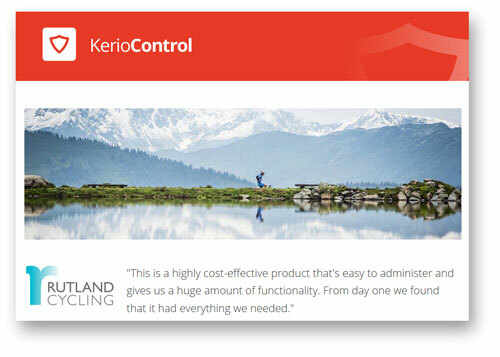 Kerio create easy-to-use security and communications software for business. 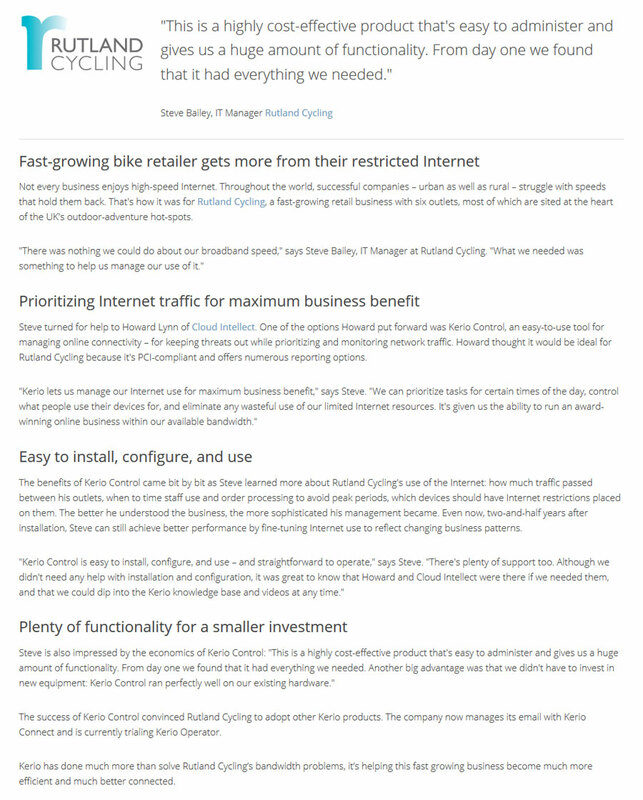 We do their case studies, the IT industry’s most popular marketing tool. When we write a case study, we find out what our client wants from it before we speak to their customer. If you don’t ask the right questions of the subject organisation, you won’t get a story that sells the client. Left to their own devices, case-study subjects will turn a case study into a publicity piece for themselves.